Think about what you can prep based on your repetitive plan. Prep a couple of foods in advance for the week ahead. Think about the foods (from your repetitive plan) that can be frozen in advance. Double these recipes and store the extras in the freezer for future meals. It’s easy to say, “Just prep ahead. 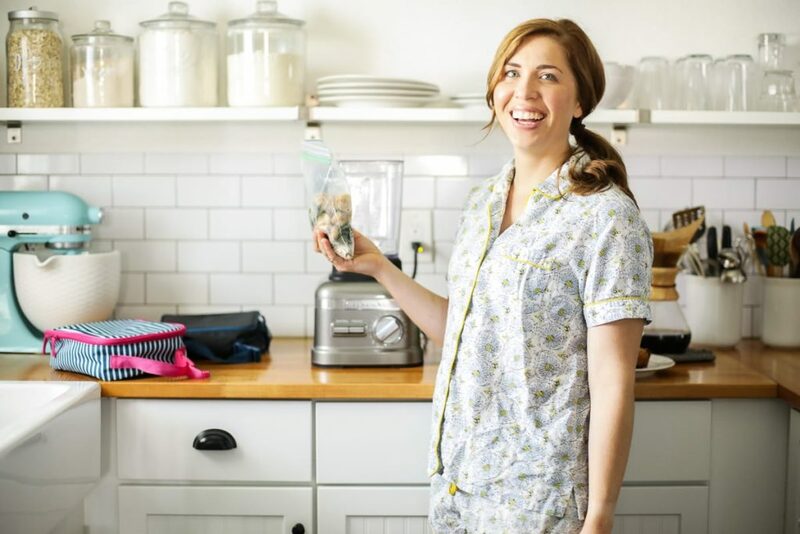 And while you’re at it, stock your freezer, too!” But what do these activities actually look like for a busy family. What kind of (prepared) foods do I stock in my freezer? I want to answer these questions today. 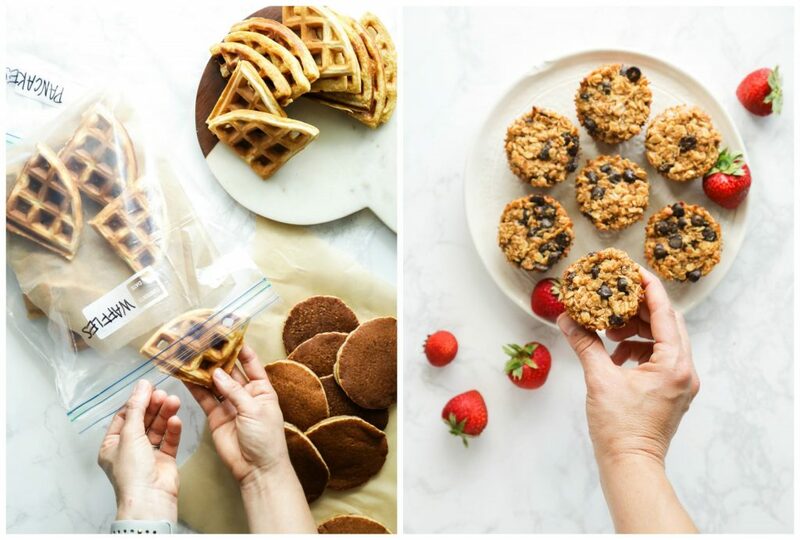 If you’re already making a meal (such as pancakes, muffins, granola bars, or waffles) simply double the recipe so you can enjoy the meal now and freeze the extras for later. If you’re already making a mess in the kitchen, and the ingredients are already out on the counter, why not multiply your effort. Before the school year started, I dedicated one full week to prepping a few breakfasts and lunches for the weeks to come. Each afternoon I set aside an hour in the kitchen to prep something from my list: muffins, waffles, pancakes, mac and cheese, quesadillas, oatmeal cups, smoothie packs, etc. I created an action plan list for the week, purchased ingredients in advance, and doubled recipes. Prepping one food every afternoon (or evening, or early morning before the kids wake up) may be too much during the school year. Instead, try prepping one food two times a week, or one time a week. Set aside a dedicated prep time on the weekend (or another day) and prep a bunch of foods all at once. I recommend making a list and shopping for the ingredients before this “go big” prep time/day. 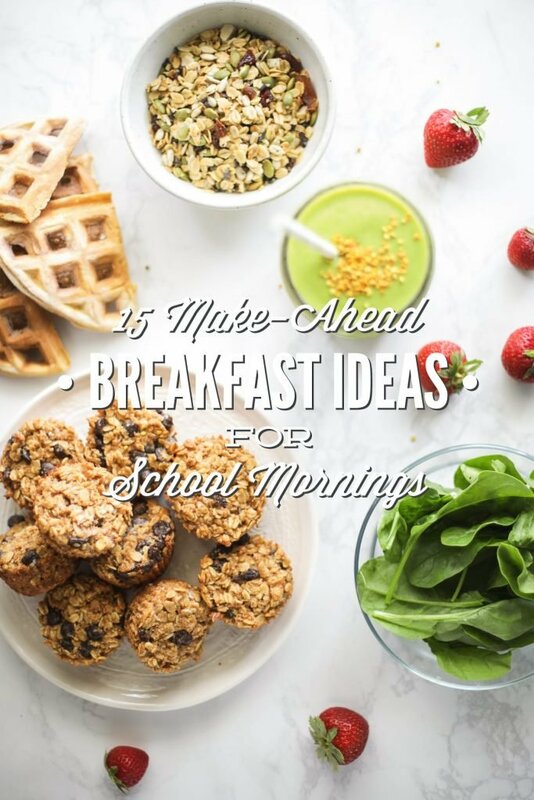 You’ll notice that many of the make-ahead breakfast ideas are freezer-friendly options. Along with indicating if a meal is freezer-friendly, I’ve also provided my recommendations for reheating foods. I use a microwave or the stove-top for most of our reheating needs. 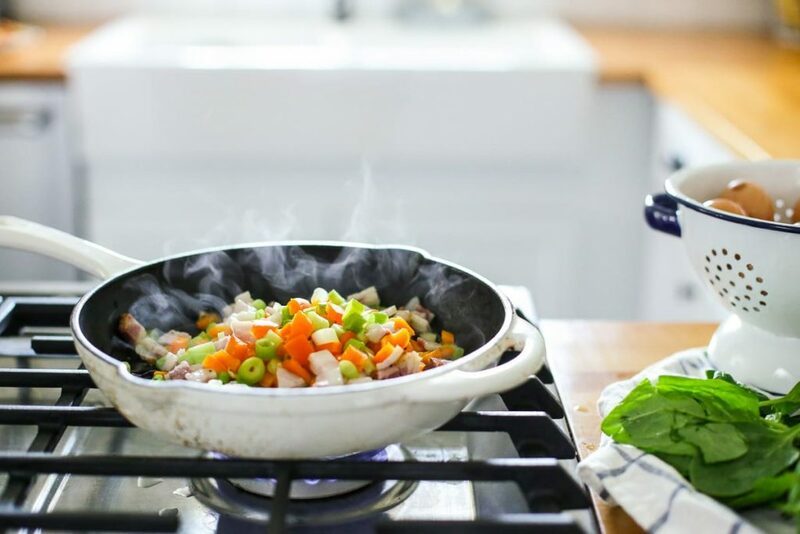 Not everyone uses a microwave, so do what’s best for your family and experiment ahead of time (not the morning of) with the best way to reheat your family’s favorite breakfasts. When it comes to freezing foods, I don’t have a lot of space in my freezer so I freeze my food in plastic freezer bags. The bags are reused over and over again. When I run out of pancakes, I make more pancakes and place them in the same bag. If you have a lot of freezer space and you want to use glass containers, make sure the containers are freezer-safe. Always make sure your food has completely cooled before placing it in a bag (or container) and placing the bag in the freezer. 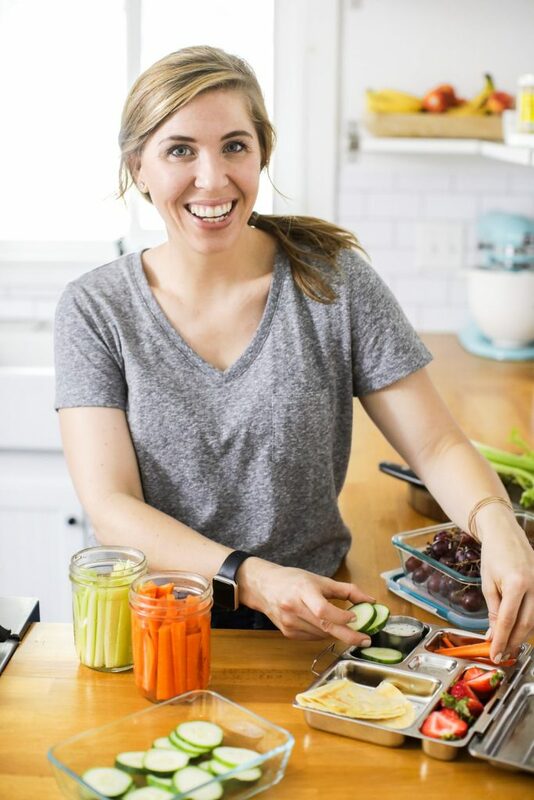 If you’re worried about foods sticking together, freeze the food on a parchment-lined baking sheet for about an hour, and then place the food in a bag. This is Dustin’s favorite breakfast option. I wrap each burrito in parchment paper and then store them all in a gallon-size freezer bag. Breakfast burritos can be stored in the freezer for a couple of months, or stored in the fridge for a few days. Reheat frozen burritos in the microwave, a toaster oven, or a conventional oven. Loaded Sheet Pan Breakfast Burritos (leave out the avocado, salsa, and mushrooms), Freezer Breakfast Burritos. If you don’t want a burrito, try a quesadilla filled with eggs and veggies. Scramble eggs and sauté veggies, and place them on one side of a tortilla with a bit of cheese. Fold the tortilla over the egg mixture. Brush the outside of the tortilla with oil and cook the quesadilla in a skillet until golden brown on each side (about 2 minutes on each side). Once cool, freeze the quesadillas on a parchment-lined baking sheet. Once frozen, wrap the quesadillas in parchment paper and place the quesadillas in a gallon-size bag. Reheat the quesadillas in a skillet (over low heat), in the microwave, or in a toaster oven. Granola keeps in the fridge for about a month, or it can be stored in the freezer for several months. 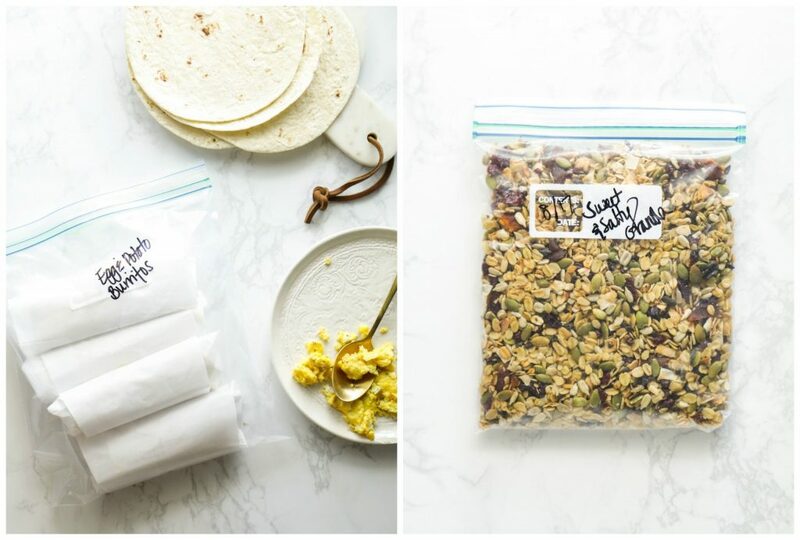 Store the granola in wide-mouth mason jars or quart-size bags. There’s no need to reheat granola since it’s meant to be served at room temperature. I’ll be sharing a new granola recipe next month–it’s made with cacao nibs, apricots, and cherries. There are currently three bags sitting in my freezer. In a quart-size bag, combine your favorite frozen fruits and/or veggies, some (fresh) greens (if desired), and anything else you’d like (frozen kefir cubes, collagen peptides, bee pollen, flax seeds, and/or hemp seeds). Freeze the bag. 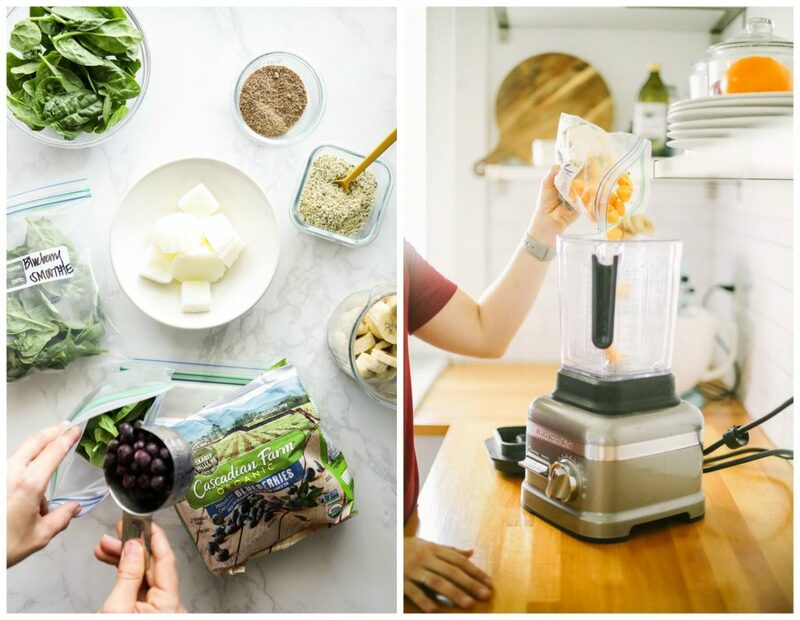 When you’re ready to make a smoothie, pour the smoothie pack contents into a blender, add water (about 1-2 cups), and blend. Muffins can be a laborious task for a school morning, so they’re ideal to make in advance and freeze. I shared an entire post on how to freeze muffins, here. Reheat muffins in a toaster oven or microwave. Cut sandwich-style bread into thirds, then dip the “sticks” into a traditional french toast mixture, and cook the sticks in a greased (buttered) skillet. Place the sticks on a parchment-lined baking sheet and freeze–this will prevent the french toast from sticking together. Transfer the sticks to a gallon-size bag and store in the freezer. Reheat french toast sticks in the microwave, a toaster oven, or a skillet. Note: I’ll be sharing a detailed french toast sticks recipe next month. For now, I recommend this recipe, cutting the bread into thirds, and skipping the bananas. Pancakes and waffles are a favorite breakfast option in our home, so I usually make double batches (double the recipe) once every few weeks and keep extras in the freezer. Once cool, I freeze the pancakes in a gallon-size plastic bag, with parchment paper separating the pancake layers (to prevent sticking). Reheat pancakes in the microwave, a skillet, or a toaster oven. Pancakes can also be kept in the fridge for up to a few days. I also make double batches (double the recipe) of waffles every few weeks and keep extras in the freezer. Once cool, I freeze the waffles in a gallon-size plastic bag, with parchment paper separating the waffle layers (to prevent sticking). Reheat waffles in the microwave, toaster, or a toaster oven. Waffles can also be kept in the fridge for up to a few days. This is a coming-soon recipe (it will be up in just a few days). Baked oatmeal cups are made with oats, applesauce, banana, or pumpkin puree, a bit of sweetener, some milk, and any add-ins (chocolate chips, fruit, etc.). The final result is muffin-style, portable oatmeal. Once cool, oatmeal cups can be stored in the freezer (I keep them in a gallon-size bag) for up to several months, or stored in the fridge for up to a week. Serve the oatmeal cups at room temperature. I don’t make breakfast cookies very often, but they’re worth mentioning if you’re looking for grab-n-go style options. Once cool, freeze the cookies in a gallon-size bag. Defrost the cookies overnight in the fridge and then take them out of the fridge about 30 minutes before serving, or reheat them directly from the freezer in a toaster oven or microwave. Breakfast cookies can also be kept in the fridge for up to a few days. Make a tray of breakfast patties, freeze them on a parchment-lined baking sheet, then place them in a gallon-size freezer bag. To cook the patties, pull them right out of the freezer and onto your skillet. Serve the patties with eggs, or sandwiched between eggs and bread for a portable sandwich option. Fruit and yogurt cups can be prepped ahead of time in mason jars (I go with 4 or 8-ounce mason jars) and then stored in the fridge for up to 4 days. If you love fruit-on-the-bottom style yogurt, go with frozen fruit since it will defrost in the fridge, resulting in the best fruit-sweetened yogurt. 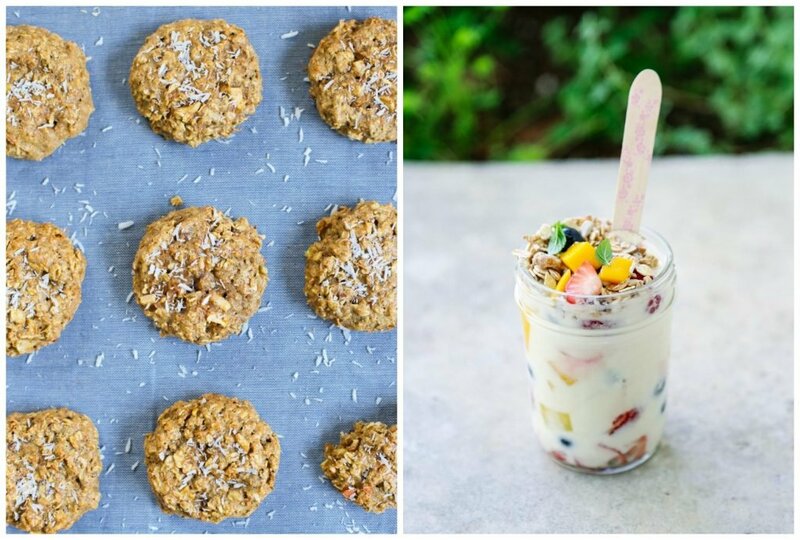 Add some homemade granola (from the freezer or fridge). Roast a sheet pan of veggies on the weekend, store the veggies in the fridge, and serve the veggies throughout the week alongside eggs. Reheat the hash in a skillet or in the microwave. Omelet cups are made from eggs, cheese, and sometimes veggies. The ingredients are whisked together and baked in a muffin pan. Store the omelet cups in the fridge for up to 3 days or freeze them (once cool) for up to 1 month. Reheat the omelet cups in a microwave or toaster oven. Of course, you don’t have to fuss with fancier egg cups. Making a few hardboiled eggs for the week ahead, and storing them in the fridge, is a great way to prepare for breakfast. Homemade granola bars are a treat to serve with hardboiled eggs, omelet cups, fruit and yogurt, or smoothies. Granola bars will keep in the fridge for up to 2 weeks, or freeze them for up to several months. There’s no need to reheat granola bars since they’re best served at room temperature or slightly cold. Finally, sweet potatoes. I know, this isn’t a typical breakfast item, but it’s one of my favorite breakfast options (alongside eggs or a smoothie). 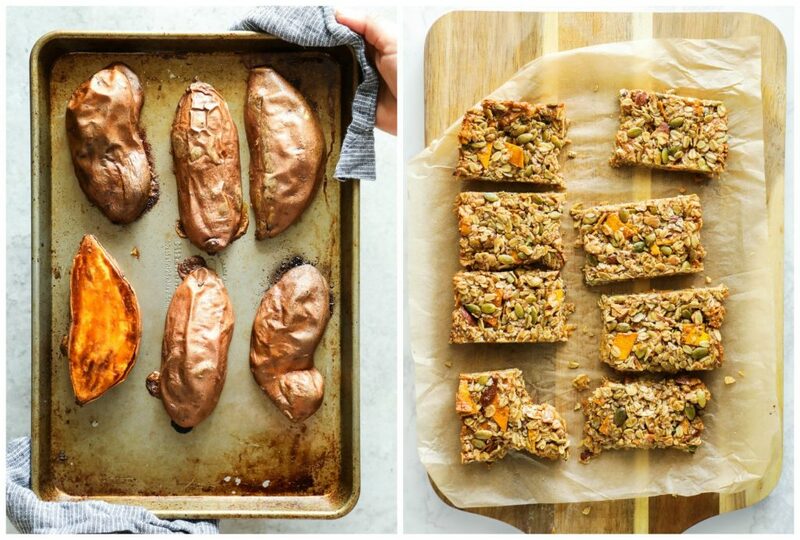 Roast a sheet pan of sweet potatoes on the weekend, store the sweet potatoes in the fridge, and serve the sweet potatoes with almond (or peanut butter), banana slices, crushed nuts or hemp seeds. Reheat the sweet potatoes in a skillet or in the microwave before adding any toppings. Talk about freezer-friendly you certainly have my attention! Love these ideas, thanks for sharing! Thanks, Sean. I’m glad the ideas are helpful for you. Hey Dacia, It’s so great to hear from you–thank for following along and commenting :). I’m so glad the ideas were helpful. Raising Generation Nourished may be a great resource for you with the gluten, egg, and dairy free recipes. I think you’ll love the oatmeal cups, too–they’ll be up early next week. Lots of great ideas! I also love that white ceramic bowl on your kitchenaid mixer!! Did it come with that?! Hey Emily, I purchased it separately. I purchased it from Amazon–it’s a KitchenAid product. Gosh, Americans consume so much wheat and sugars! I would never stuff my child with all those muffins and waffles at breakfast. Just take a look at obesity rates! In the UK, if she’s not eating at school, I give my daughter porridge with egg, or beans on gluten-free toast, sometimes eggs on gluten-free toast. But not loadfuls of sugar and gluten! Please reconsider your menu for your children’s sake. Hey Julie, Please don’t mom shame or cast judgement against other mothers because they aren’t doing what you think they should be doing. And the obesity comment is uncalled for and very unrelated. We’re talking about homemade breakfasts made with real ingredients, not a trip to a drive thru. I hope that you use your platform and voice to encourage mothers versus tear them down simply because you don’t agree with something like whether they make a homemade muffin with honey or wheat, or gluten-free flours. There are plenty of options for both gluten (made with einkorn, usually) and gluten-free breakfasts, here. Including eggs and other nourishing options. As I’m sure you know from looking at every recipe on the blog. And this post isn’t saying to feed kids homemade waffles daily. 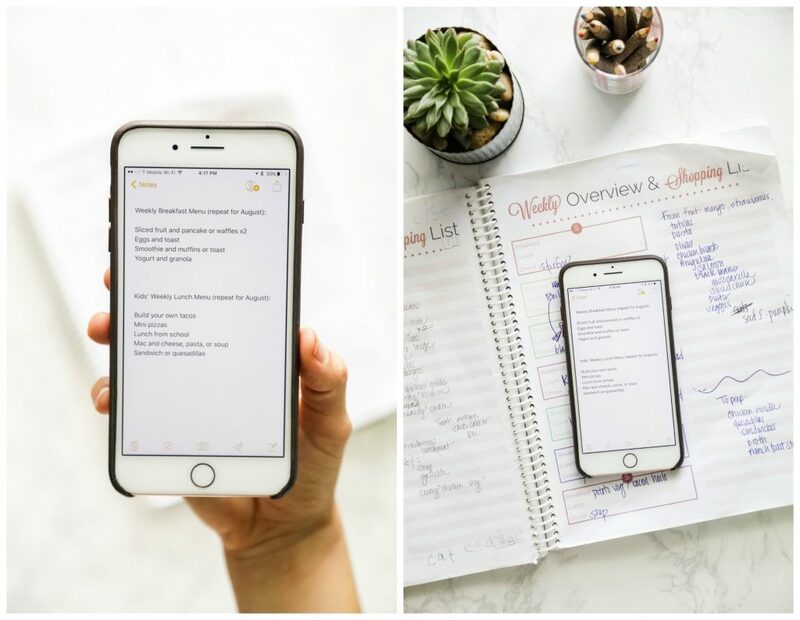 It’s simply a list of ideas of what can be prepped ahead, because I’d much rather someone make a homemade waffle and stash it away than have to resort to a drive-thru. Certainly there is balance and that’s what we teach here on the blog, as you suggested with your daughter’s breakfast example. And most of the foods you listed, except the beans due to cultural difference, are on this list, along with gluten-free options for people who need that–such as the almond flour waffles and pancakes. I’m just really surprised by your incredibly judgmental tone here. A tone that isn’t appreciated or accepted here as we’re all about encouraging moms where they’re at and helping them nourish their families, which includes homemade waffles made with simple and real ingredients :). Please reconsider your judgmental attitude for your children’s sake.